Denny Miller, who played Duke Shannon on several seasons of Wagon Train, made two notable guest appearances on Gilligan's Island, and made history with the film Tarzan, The Ape Man in 1959 as the first blond Tarzan, died 9 September 2014 at the age of 80. The cause was amyotrophic lateral sclerosis (ALS), also known as motor neurone disease (MND) or Lou Gehrig's disease. Denny Miller was born in Bloomington, Indiana on 25 April 1934. When his father got a job teaching physical education at the University of California, Los Angeles (UCLA) the family moved to Los Angeles. Mr. Miller attended UCLA and played basketball for the UCLA Bruins. He dropped of UCLA for a time to serve a hitch in the United States Army. After his stint in the service he returned to UCLA. It was in his senior year that an agent for MGM discovered him and signed him to a contract with the studio. He dropped out of UCLA again, but would later return to get a bachelor's degree in kinesiology. Denny Miller made his acting debut in an episode of the TV show Northwest Passage in 1959. He appeared in an uncredited role in Some Came Running (1958) before starring in Tarzan, the Ape Man (1959). Tarzan, the Ape Man was made on the cheap by MGM, who not only recycled footage from the classic 1932 version (as well as footage from Tarzan and His Mate and the 1937 version of King Solomon's Mines), but Johnny Weissmuller's Tarzan yell too. The film was not well received by critics and, while Denny Miller enjoyed making the film, he later joked about its lack of quality. 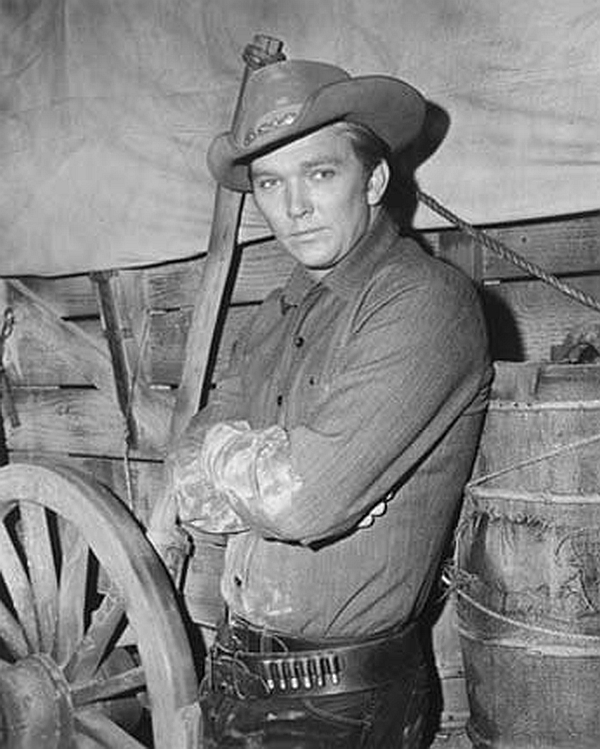 In 1960 Denny Miller appeared on episodes of such shows as Overland Trail, Have Gun--Will Travel, Riverboat, Laramie, and The Rifleman. The Sixties saw Denny Miller at the peak of his career. He played Duke Shannon on the final three seasons of Wagon Train. He also co-starred with Juliet Prowse in the single season sitcom Mona McCluskey. He made two notable guest appearances on Gilligan's Island, playing Tongo the Ape Man (parodying his role of Tarzan) and surfer dude Duke Williams. He guest starred on such shows as Michael Shayne, Ben Casey, The Fugitive, The Girl from U.N.C.L.E., I Spy, Death Valley Days, The High Chaparral, Hawaii Five-O, I Dream of Jeannie, and The Virginian. His most notable film role during the decade was playing cowboy "Wyoming" Bill Kelso in The Party (1968). He also appeared in the film Love in a Goldfish Bowl (1961). In the Seventies Denny Miller appeared in such films as Making It (1971), Doomsday Machine (1972), Buck and the Preacher (1972), The Gravy Train (1974), The Island at the Top of the World (1974), The Norseman (1978), and Cabo Blanco (1980). He guest starred on such shows as Gunsmoke, The Brady Bunch, McCloud, Dusty's Trail, The Streets of San Francisco, Emergency, The Six Million Dollar Man, Alice, Quincy M.E., Wonder Woman, Battlestar Galactica, and The Rockford Files. In the Eighties Denny Miller appeared in several episodes of Dallas as Cliff Barnes' foreman Max Flowers. He guest starred on such shows as M*A*S*H, Charlie's Angels, Vega$, The Incredible Hulk, Simon & Simon, Hart to Hart, The Fall Guy Matt Houston, Hardcastle and McCormick, Murder She Wrote, and Magnum P.I. In the Nineties he appeared on Lonesome Dove: The Series and Dr. Quinn, Medicine Woman. In 2005 he made his last screen appearance, in the film Hell to Pay (2005). He appeared for years in commercials as Gorton's Fisherman. Anyone who ever had the honour of meeting Denny Miller knew he was a very nice and gracious man with a wonderful self-deprecating sense of humour. He often joked about his career, in particular about his role as Tarzan in the 1959 Tarzan, the Ape Man. While Mr. Miller often joked about his career, however, the truth is that he was actually quite a good actor. Standing at 6' 4" he was often cast in dramatic roles. In fact, he is well known for his guest appearances in many Western TV shows over the years, as well as his regular role as Duke Shannon on Wagon Train. While he played more than his share of Western villains and heroes, Denny Miller always preferred comedy. He played one of the funniest characters in The Party. His guest appearances on Gilligan's Island remain remembered to this day, playing two very different characters (the scheming Tongo the Ape Man and the rather clueless surfer Duke Williams). For all that Denny Williams often made fun of his career, he was actually a very talented actor. He was also a very charming and gracious man as well. It was 100 years ago today that actor Desmond Llewelyn was born in Newport, Monmouthshire, Wales. His father was a coal mining engineer, but Mr. Llewelyn would become interested in acting while working as a stagehand on productions at Radley College in Oxfordshire. His acting career would be interrupted by World War II, during which time he served as a second lieutenant in the Royal Welsh Fusiliers. He was captured in France in 1940 by German forces and spent five years as a prisoner of war in Colditz Castle. He resumed his acting career following the war, making his first post-war television appearance in a 1946 adaptation of As You Like It. Throughout the Fifties he appeared frequently on television, including playing Sydney Carton in an adaptation of A Tale of Two Cities, appearing as a regular on the TV series My Wife Jacqueline, and guest starring on The Adventures of Robin Hood. He had bit parts in such films as Knights of the Round Table (1953), A Night to Remember (1958), and Sword of Sherwood Forest (1960). It was in the Sixties that he would first play his most famous role, that of Q in the James Bond movies. He first played the quartermaster and armourer in From Russia with Love (1963). He would go onto play Q in 17 James Bond films (every film after From Russia with Love and up to The World Is Not Enough except Live and Let Die). 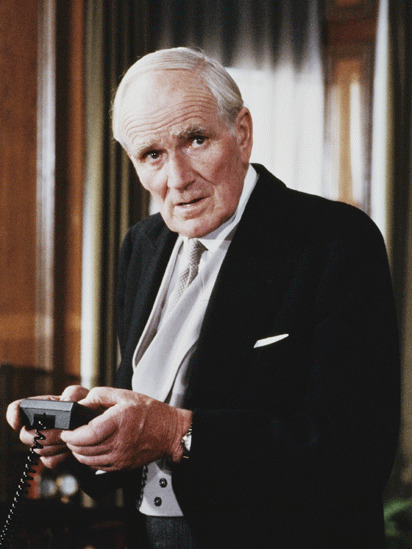 Ultimately Desmond Llewelyn appeared in more Bond movies than any other actor in the history of the franchise. Even while appearing as Q, Mr Llewelyn found time to appear in other projects. On television he played the Colonel on Follyfoot. He also appeared in such films as The Pirates of Blood River (1962), Chitty Chitty Bang Bang (1968), The Golden Lady (1979), and Merlin (1993). In honour of Desmond Llewelyn's 100th birthday, here is a collection of clips of Mr Llewelyn as Q, including the tribute Eon Production created for him upon his untimely death in 1999, "Now Pay Attention 007: A Tribute to Actor Desmond Llewelyn". Richard Kiel, the 7 foot 1.5 inches tall actor who played Voltaire on The Wild Wild West, Moose Moran on Barbary Coast, and Jaws in two James Bond movies, died yesterday at the age of 74. Richard Kiel was born on 13 September 1939 in Detroit, Michigan. He had the condition known as acromegaly, which resulted in his enormous height. By the time he was 14 he was 6 foot seven inches tall. As an adult he stood an incredible seven foot 1.5 inches tall. Before entering acting he worked as a nightclub bouncer and sold cemetery plots. Mr. Kiel's approach as a bouncer was singular. Rather than use his enormous size to intimidate nightclub patrons, he used his natural jovialness and friendliness to keep them in line. Mr. Kiel's height eventually led him to a career in acting. He made his television debut in a 1960 episode of the TV show Klondike. The Sixties would see Richard Kiel appear in one of his best known roles He played Dr. Miguelito Loveless's muscle, Voltaire, in the first season of The Wild Wild West. He also made a notable guest appearances on The Monkees (in the episode "I Was a Teen Age Monster", playing the Monster of the title) and The Twilight Zone (playing a Kanamit in the classic episode "To Serve Man"). He also guest starred on such TV shows as Thriller, Laramie, The Rifleman, Lassie, The Man from U.N.C.L.E., I Dream of Jeannie, Honey West, My Mother the Car, Gilligan's Island, I Spy, and Daniel Boone. In the Sixties Richard Kiel also played the title character in the B-movie and cult film Eegah (1962). He made his film debut in The Phantom Planet in 1961. Throughout the Sixties he appeared in such films as House of the Damned (1963), The Nutty Professor (1963), Roustabout (1964), Two on a Guillotine (1965), The Human Duplicators (1965), Brainstorm (1965), The Las Vegas Hillbillys (1966), Skidoo (1968), and On a Clear Day You Can See Forever (1970). In the Seventies Richard Kiel played what might be his best known role, that of the assassin Jaws in the James Bond movie The Spy Who Loved Me (1977). The character proved so popular that he made another appearance in the following James Bond film, Moonraker (1979). Mr. Kiel also played Samson in The Longest Yard (1974) and Reace in Silver Streak (1976). He also appeared in such films as Deadhead Miles (1973), Flash and the Firecat (1976), Gus (1976), Force 10 from Navarone (1978), They Went That-A-Way & That-A-Way (1978), and L'umanoide (1979). He starred as Moose Moran on the TV show Barbary Coast. He guest starred on such shows as Emergency!, Kolchak: The Night Stalker, Switch, Starsky and Hutch, and McMillan & Wife. In the Eighties Richard Kiel appeared in such films as So Fine (1981), Hysterical (1983), Phoenix (1983), Cannonball Run II (1984), Pale Rider (1985), The Princess and the Dwarf (1989), and Think Big (1989). He guest starred on such shows as The Fall Guy, Simon & Simon, Out of This World, and Superboy. In the Nineties Mr. Kiel wrote, produced, and starred in The Giant of Thunder Mountain (1991). He also appeared in the films Happy Gilmore (1996) and Inspector Gadget (1999). In the Naughts he provided the voice of Jaws in the video game James Bond 007: Everything or Nothing and the voice of Vlad in the animated feature Tangled (2010). Because of his extreme height Richard Kiel played many menacing characters over the years, but he was a very talented actor who could play many other types of roles. Indeed, he had a gift for comedy, a gift that was displayed even when he was playing characters who might otherwise seem threatening. The perfect example of this can be seen in his guest shot on The Monkees, in which he plays a Frankensteinian monster into whom the collective talent of The Monkees is transferred. Mr. Kiel's timing was perfect, and he delivered his lines perfectly ("Groovy man, that's not my bag. Don't get uptight..."). And while many in Generation X might remember Mr. Kiel best as Jaws in the James Bond movies or Voltaire on The Wild Wild West, younger generations might remember him best as Mr. Larson, Happy's former boss in the film Happy Gilmore. Mr. Larson was easily the funniest character in the whole film. Of course, most of Richard Kiel's roles were of the tall, menacing type, and he did excel in these roles. For me the most prominent of these roles was not Jaws, but Voltaire, Dr. Miguelito Loveless's assistant on The Wild Wild West. Voltaire was superhuman in strength and could be extremely brutal, but at the same time it was clear Voltaire was extremely loyal to Dr. Loveless (played by the great Michael Dunn) and that he cared for both Dr. Loveless and Loveless's femme fatale Antoinette (Phoebe Dorin). Unlike many gigantic henchmen in the spy shows of the era, Voltaire seemed very human, something that was due to Richard Kiel's talent as an actor. Beyond being a talented actor, it must also be pointed out that from all reports Richard Kiel was a very nice man. He was often described as a "gentle giant". Mr. Kiel's co-stars, from Sir Roger Moore to Barbara Eden to Adam Sanadler, described him with such terms as "sweet", "kind", and "nice". He was known for his sense of humour and his generosity. It was Richard Kiel's height that made him a big man and his talent that made him a great actor, but, most important of all, he was a truly kind and sweet man as well. As this blog is dedicated to pop culture I try to avoid politics here. That having been said, I make an exception when a particular issue might well affect this blog. Sadly, an issue has arisen lately that would not only have an impact on this blog, but the entire internet (at least here in the Untied States). Quite simply, the Federal Communications Commission is considering a change to their regulations that would allow internet service providers to create "fast lanes" for those companies that can afford them. Those of us who could not afford to pay would then be stuck in the "slow lane". Since the very beginning the internet has functioned under the principle of net neutrality, the idea that ISPs and governments should not favour one user, site, platform, or form of content over others. Net neutrality is vital to the survival of an open internet. It encourages both innovation and competition, and it insures a consistent experience for users across the web insofar as one site is not going to faster than others. The creation of "fast lanes" would essentially bring an end to net neutrality, and hence the internet as we know it. If you want the internet to remain open and want net neutrality to continue, I then suggest you contact your Congressman, your senators, and the FCC itself. If you're an American and use the internet, it is very much to your benefit to do so. Here is a link to Fight for the Future's "Battle for the Net" site, which has a convenient form where you can contact lawmakers and let them know to keep net neutrality in place. If you are a classic film fan, chances are very good that you have heard of Arthur Freed. Indeed, Mr. Freed was in charge of his own unit at MGM in the Forties and Fifties, and it was this unit that made some of the greatest musicals of all time. Meet Me in St. Louis (1944), Easter Parade (1948), On the Town (1949, Singin' in the Rain (1952) and The Band Wagon (1953) were all products of the famous Freed Unit. Even prior to being the head of his own unit at MGM, Arthur Freed had produced some legendary musicals. He had been an associate producer on The Wizard of Oz (1939), and a producer on such films as Babes in Arms (1939) and For Me and My Gal (1942). Arthur Freed was born 120 years ago today in Charleston, South Carolina. While Arthur Freed was famous as a movie producer, it must also be noted that he was a successful lyricist as well. Early in his career he sang with the Marx Brothers and even wrote material for them. He wrote lyrics for the songs in the 1920 Broadway production Silks and Satin. His best known work as a lyricist would come in the late Twenties and early Thirties, when he and composer Nacio Herb Brown wrote songs for MGM movies. Together Messrs. Freed and Brown wrote songs for such films as The Broadway Melody (1929) and The Hollywood Revue of 1929 (1929), among many others. Arthur Freed and Nacio Herb Brown's substantial catalogue of songs would eventually provide the soundtrack for the classic musical Singin' in the Rain (1952). If you follow technology news, news regarding Twitter in particular, then you have probably heard that Twitter plans to roll out a timeline that uses an algorithm that sorts tweets by relevance rather than by the time at which they were posted. Some Twitter users have already expressed their outrage at the prospect, once more complaining that Twitter is becoming like Facebook. It is difficult to tell how concerned Twitter users should be with regards to their timelines, displayed in reverse chronological order from the very beginning, suddenly being sorted by relevance according to an algorithm. In an article in Forbes technology reporter Jeff Bercovici states that when Twitter introduces its new timeline sorted by relevance, it will be as a new stream not unlike the "Discover" or "Activity" streams introduced quite some time ago. He points out that in an appearance last Wednesday Twitter CFO Anthony Noto stated, "Individual users are not going to wake up one day and find their timeline completely ranked by an algorithm." Certainly Mr. Noto's statement could lead one to believe that when and if the new timeline is introduced, it will simply be as an additional stream and it will be not be forced on users. Of course, even if Twitter introduces its new timeline sorted by an algorithm as an additional stream like the "Discover" or "Activity" streams, Twitter users might still have reason for concern. Social media sites have a history of introducing changes that are unpopular with users. Indeed, Facebook is notorious for this (anyone remember the double column Timeline?). While not nearly as bad as Facebook, Twitter has in the past been guilty of forcing changes on users that users really do not like. A year ago Twitter introduced a new way of viewing conversations that proved very unpopular with users. More recently Twitter forced a new profile layout that users disliked, and that once more brought cries of "Twitter is becoming more like Facebook!" It is not inconceivable, then, that somewhere down the road, Twitter could replace its old timeline, sorted in reverse chronological order, with the new timeline sorted by relevance. And they could do this even if users do not like or do not use the new timeline. After all, most people still don't like that new profile layout either. If that does indeed take place, then I think Twitter could be living on borrowed time. It is not simply a case that in sorting tweets by when they are posted Twitter is ideal for learning and reading news. It is also the case that by and large users of social media prefer their timelines, news feeds, streams, or whatever one wishes to call them to be sorted in reverse chronological order. Despite its insistence on "Top Stories" (their term for their news feed sorted by "relevance") being the default view, it has always seemed obvious to me that Facebook users prefer the "Most Recent" news feed, in which posts are sorted in reverse chronological order. Indeed, Facebook users have always complained about "Top Stories" being the default and have expressed outrage any time Facebook attempted to do away with the "Most Recent" feed. Given Facebook users prefer having their news feeds sorted by reverse chronological order after years of the social network trying to force the "Top Stories" feed upon them, I can guess what will happen if Twitter entirely replaced its old timeline with one that sorts tweets by relevance. Twitter users would be outraged. They would send angry tweets to Twitter and some would even start up petitions. And if Twitter failed to restore the old timeline, sorted in reverse chronological order, in a timely manner, then users would start to leave. Once that happened, I think Twitter would die a slow, lingering death. Now some would argue that Twitter would not die, as it would simply pick up new users. I seriously doubt that myself. First, it must be considered that Twitter is relatively old for a social media site and not counted among the "hot", new sites out there. It then seems unlikely to me that a significant number of teenagers and college age people are going to start using Twitter regardless of what changes Twitter makes. Granted, the average Twitter user tends to be younger than the average Facebook user these days, but I suspect the average Snapchat and Instagram users are younger still. Second, there is more competition with regards to social media sites than there ever has been before. In addition to Twitter there is Facebook, Google+, Tumblr, Instagram, and many more. People would need a compelling reason to use Twitter over other social media sites, and if they changed their timeline I do not think they would have one. Quite simply, in having a timeline determined by an algorithm, Twitter really would not be that different from Facebook. Ultimately, Twitter could start losing more users than it is gaining and in the end simply dwindle away. Of course, at the moment there is no way to tell what will happen with regards to Twitter in the next few years. It is quite possible that Twitter will introduce the new timeline determined by an algorithm as an additional stream only to find it is unpopular and as a result the timeline sorted by reverse chronological order will remain firmly in place. In fact, I suspect that this might be the most likely thing to happen. Granted Twitter has made unpopular changes in the past, but I do not think they would make a change that would fundamentally alter the site to the point that long term users desert it in droves. It is one thing to change the profile layout. It is quite another to change what makes Twitter, well, "Twitter". It was on 8 October 1918 that Corporal Alvin C. York was part of an assault on a a German machine gun nest. Ultimately Corporal York and his fellow soldiers took out 32 machine guns, and killed 28 German soldiers and captured another 132 others. Not only was Corporal York almost immediately promoted to Sergeant, but he was also awarded the Medal of Honour for his role in the attack. A humble and even shy man by nature, Sgt. York refused to capitalise on the fame that he received as a result of his part in the war. Eventually, with Tom Skeyhill, he would publish Sergeant York: His Own Life Story and War Diary in 1928. As might be expected, he refused offers to make a film based on his life. After years of turning down film offers, Sgt. York eventually relented. The result was Howard Hawks' Sergeant York (1941), a film that would become the top grossing film of the year. Among the most persistent of producers to make film offers to Sgt. Alvin York over the years, Jesse L. Lasky. Mr. Lasky was already something of a Hollywood legend at the time. He was one of the producers on The Squaw Man (1914), the first film to ever be filmed completely in Hollywood. Over the years he had produced such films as The Cheat (1915), The Great Gatsby (1926), It (1927), and Berkeley Square (1933). Despite Mr. Lasky's position as one of Hollywood's earliest producers, Sgt. York resisted his repeated offers to make a film based on his life over the years. Sgt. York finally relented only on the condition that the money he earned from the film went to finance an interdenominational bible school he had been planning. Even once Jesse L. Lasky finally convinced Sgt. York to let him make a film based on his life he had some difficulties recruiting those he wanted for the film. Mr. Lasky wanted Howard Hawks to direct the film, but Mr. Hawks was not interested in directing any biographical movie. Before Howard Hawks would consent to directing the film, Jesse L. Lasky had to convince the director that the film would be less a retelling of the events of Sgt. Alvin C. York's life as it would be a character study of the man. He also had some trouble in convincing the star he wanted for the role of Sgt. York, Gary Cooper, to take the role. He eventually sent Mr. Cooper a telegram and signed Sgt. York's name to it in order to get the star to accept the part. Even once Mr. Cooper had consented to take the role, Jesse L. Lasky had to ask Samuel Goldwyn to loan the star to him for the movie. Samuel Goldwyn agreed to loan Mr. Lasky to make Sgt. York only on the condition that Warner Bros. loan him Bette Davis to make The Little Foxes (1941). To insure an accurate portrayal of Sgt. Alvin C. York, Jesse L. Lasky arranged a meeting between Sgt. York and Gary Cooper. As the all important role of Sgt. York's wife to be, Gracie Williams, Sgt. Alvin C. York demanded the actress playing the role be someone who did not drink or smoke. For the role Jesse L. Lasky wanted Jane Russell, who was not yet a star. Ultimately Joan Leslie was cast in the part. Given the film would feature real people, Warner Bros. had to obtain releases for all those portrayed in the film who were still living. The studio had to track down every member of Sgt. York's squad, as well as many other people from Sgt. York's past. In the end the only person who did not consent to sign a release was Sgt. York's father in law. His character was simply written out of the film. Sergeant York was released on 2 July 1941 and proved to be a runaway success at the box office. As mentioned earlier, it was the highest grossing film for the year. The film received largely positive reviews, although it was the subject of some controversy at the time. At the time of the film's release World War II had been unfolding for only a little less than two years. Having not yet entered the war, the United States found itself divided into two camps: the interventionists, who thought the U.S. should become involved in the war, and the isolationists, who thought the U.S.should keep to itself. Warner Bros. head Jack Warner and his brothers, and hence the studio itself, favoured interventionism. As a result Sergeant York was to a degree made as a propaganda film urging American intervention in the ongoing war in Europe. This did not sit well with many isolationists, who by and large denounced the film. Seen today it is still fairly obvious that Warner Bros. meant Sergeant York to serve as an argument for intervention in Europe. As portrayed by Gary Cooper, Alvin C. York in the film conforms to the American archetype of the pure, honest, rustic hero similar to Daniel Boone, Davy Crockett, and even President Abe Lincoln. Alvin C. York's transformation in the film, from a conscientious objector to a soldier who regards war as a necessary evil, seemed designed to sway those who might have second thoughts about the United States entering the ongoing war in Europe. While the settings of Sergeant York might have been 1910s Appalachia and World War I Europe, the film was as much about World War II as it was Sgt. Alvin C. York. That is not to say that Sergeant York is a simple, patriotic, pro-interventionist propaganda film, nor that it can only be appreciated as such. 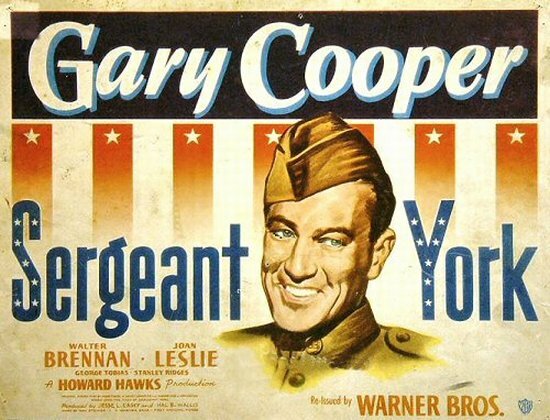 Sergeant York is actually a much more sophisticated film with a good number of nuances than many in 1941 were willing to give it credit for being. While the portrayal of life in Pall Mall, Tennessee in the film is somewhat idealised, it is still a much more positive and realistic portrayal of life in Appalachia than often appeared in the media at the time. The residents of Pall Mall are portrayed as honest, hard working individuals eking out a living on largely rough land and living in poverty. The film does a very good job of capturing how difficult making a living farming could be in what was essentially still a pre-Industrial region could be. And while Alvin C. York is largely portrayed as an archetypal rustic hero not unlike Daniel Boone or Davy Crockett, both the script and Gary Cooper's performance gives him enough dimension that he the viewer can imagine that was what the real life Sgt. York was like. Just as in real life, Alvin C. York is a man at a crossroads. He is a man of religious convictions who believes that killing is wrong and yet finds himself in the United States Army where he is expected to kill other human beings. Gary Cooper does a good job of portraying Alvin C. York's moral struggle as he grapples with his religious beliefs and his sense of duty to his country. Here I must point out that for a film that has been portrayed as purely interventionist propaganda, there is an undercurrent running through Sergeant York that war is abhorrent. As a conscientious objector in the earlier part of the film Alvin C. York makes it clear that he thinks war violates the Sixth Commandment, "Thou Shalt Not Kill". Even once Corporal York becomes convinced he must do his duty to his country and fight, he still regards war as a necessary evil. Unlike many propaganda films of the time, Sergeant York does not glorify war and even treats it as something that is not noble or romantic. Here I must point out that one does not need to be Christian or even particularly religious to appreciate Sergeant York's moral struggles. Reconciling one's morality and what one is called upon to do is common enough that many, regardless of their beliefs, can identify with Alvin C. York and his moral crisis. Of course, as with any historical film the question is, "How faithful is Sergeant York to the historical record?" Like many films over the years, Sergeant York does depart from history in some respects. Sgt. York's one major objection to the film was in the way his conversion to Christianity was portrayed. He did not convert to Christianity after being struck by lightning, but for very different reasons (part of which was to be able to court his future wife, Gracie Williams). Sgt. York's family is portrayed as being much smaller than it was in real life (in actuality Sgt. York's parents had eleven children in all). A scene in which Sgt. York's friend, . Michael T. "Pusher" Ross (played by George Tobias) is killed by a German prisoner never took place. Similarly, Corporal York never gobbled like a turkey at German machine gunners to get them to raise their heads. It must also be pointed out that following the war Sgt. York returned to a farm that was still heavily mortgaged and had to pay for it with his own hard work. While the scene in which Pusher is killed by a German soldier never happened, it does demonstrate that an effort was made in Sergeant York to portray the horrors of World War I. Indeed, it is to the films credit that its battle scenes look realistic for the era in which it was made. If Sergeant York's presentation of World War I seems somewhat sanitised to modern eyes, it must be considered that the film was made when the Production Code was at its height and that Warner Bros. perhaps did not wish to make war too terrifying for fear of undermining the interventionist message that they wished the film to have. Sergeant York proved to be a resounding success upon its release. The film made $16,361,885 at the box office, which would be about $255,479,624 in 2013. It also fulfilled Warner Bros.'s goal of producing a propaganda film to encourage interventionism. 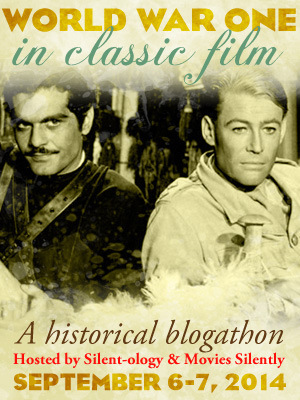 Reportedly many young men enlisted in the military after watching the film. Today Sergeant York can be appreciated as more than a propaganda film. While Warner Bros. might have meant for it to be an argument for interventionism, Sergeant York holds up as a film about a young man's journey from being a backwoods hellraiser to a conscientious objector to a soldier who must do things he finds abhorrent in the service of his country. When looked upon as the story of the transformation of Alvin C. York, Sergeant York becomes a much more universal story, one with which most of us can probably identify. It is also one through which many young men in both World Wars went through.